Hand-painted furniture adds a neat final touch to any room. 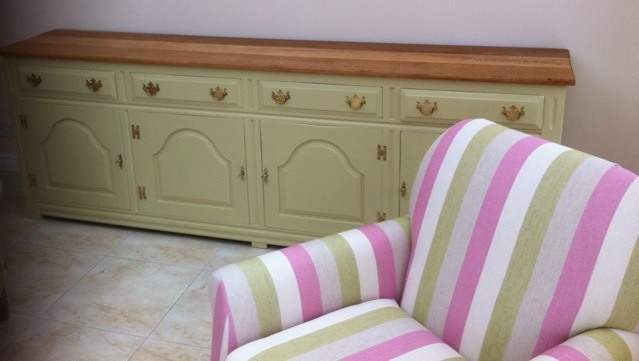 A piece of bespoke hand-painted furniture can become the feature of your home! Keen home decorators can achieve very pleasing results, and single items can be good fun to paint. Where you have a lot of furniture to do, or where you want a really high class finish or specialist decorative finishes, it probably pays to call in the professionals. Below is a selection of options for painting furniture, so you have a good idea of what is involved and what can be done. This is followed by who to call, if you decide you need skilled help. In my opinion, upcycled furniture is about as eco friendly green as you can get. 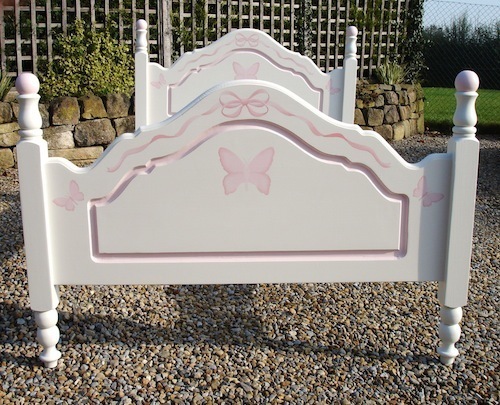 Recycle old pieces of furniture with a hand-painted finish (solid colour or distressed or painted decoratively). Alternatively, strip the old coating, leave natural, and protect with wax, oil, stain or sealer. Further down is a link to “everything you need to know about painting pine furniture“! With fashions ebbing and flowing, and a healthy second-hand furniture market, there are plenty of opportunities to accessorize your home economically with “re-purposed furniture”, painted with flair. On the other hand, a piece of furniture specially designed and made for you by a craftsman, and hand-painted by a professional, is also an excellent approach to uplifting a room. Invest and enjoy the craftsmanship for many many years, taking your feature items with you from home to home. 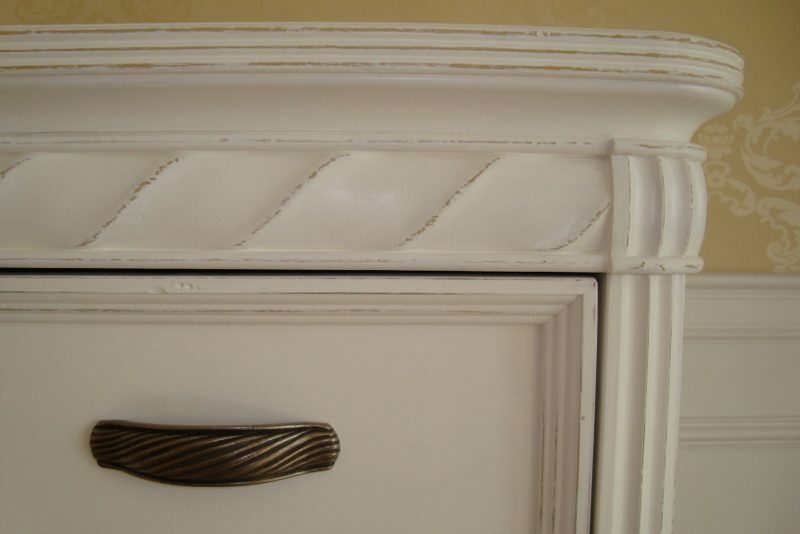 Decorators with a talent for creating wood grain and marble and stone effects can take furniture painting to the next level. This is an example of where craftsmen like TP’s Lee Simone, have turned a very ordinary cupboard into functional artwork. And from there, he can take furniture painting into the realms of fine art, with exquisite trompe l’oeil. As a starting point, you can give a new lease of life to a favourite pine dresser, table or chairs, or upgrade a new piece of unpainted furniture, with a hand-painted finish. Prepare and prime it correctly, and finish with a durable satin / eggshell paint, in any colour you like, with a traditional or modern paint. Pine, as well as oak, laminate, metal, even plastic … all can be transformed with an attractive and beautiful paint finish. 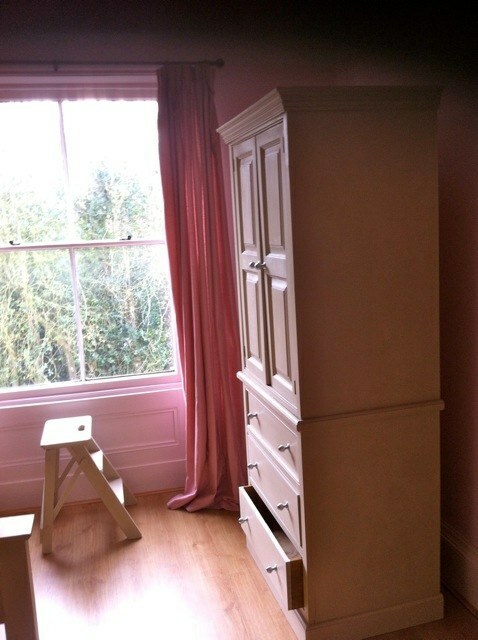 This is an example of a piece completed by Martin Guest, TP’s specialist furniture painter in Birmingham, Hereford & Worcester. Mirror and picture frames can be given a facelift with gilding, craquelure or whatever your imagination can dream up. With patience, and good use of colour, you can be a bit more adventurous and achieve pleasing results from stencilling too. Where you have a lot of pieces to paint, or you are looking for a super finish, especially on bespoke pieces, I would suggest calling in a professional furniture painter. The paint finish will make or break the project! 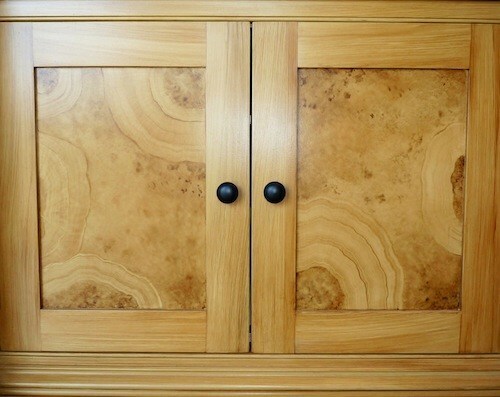 Traditional Painter has the North and South covered for clients looking for decorative art work to finish off a special piece of furniture with a flourish. decorative artist and furniture painter Lee Simone is based in Yorkshire and can take painted furniture to the next level with a deft artistic touch. Add further embellishments from simple leaves and flowers to complete trompe l’oeil effects. 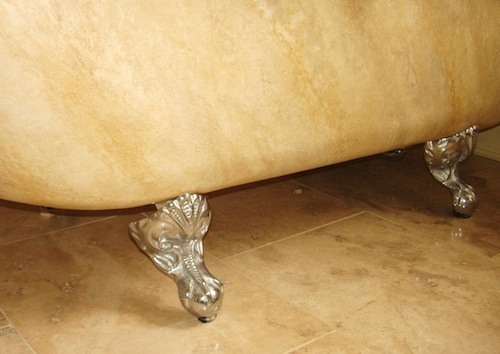 Any wooden item, even cast iron baths, can be transformed with the artistic ingenuity of a specialist painter. Another example of Lee’s work. Sometimes, an off-the-shelf solution doesn’t exist and you might have to commission a spectacular bookcase or a specific piece of furniture to be hand-made to your specifications. A paint effect can raise the interest and wow factor. 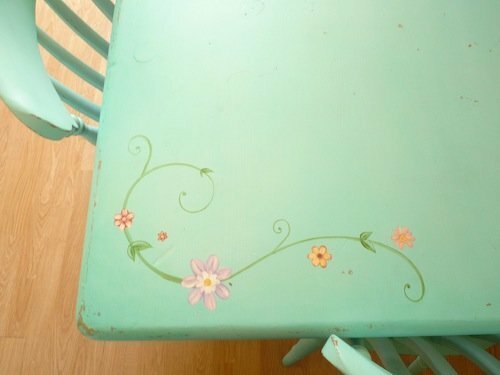 Sometimes furniture need not be painted completely! Traditional Painter can recommend these 20 specialist painters who cover the country. 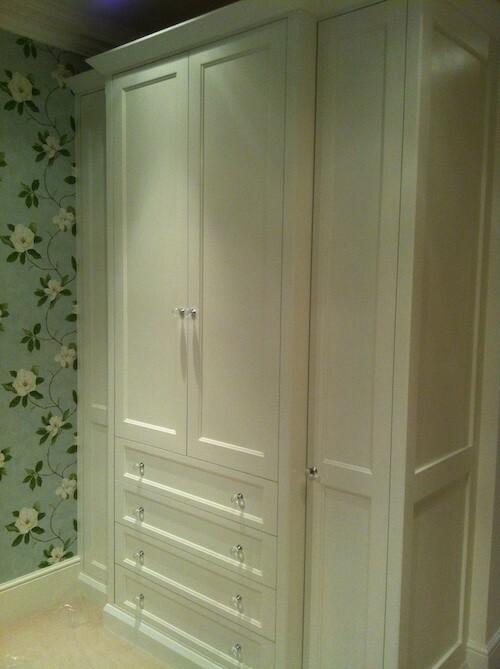 They mainly hand-paint fitted furniture and free standing furniture in situ. Several have been invited to paint furniture and stage sets at Decorex International, Ideal Home and other trade exhibitions. They know what they are doing, and if you would have a particularly niche painting request, someone within the group will be able to assist. To ensure a durable conventional paint finish or base for further decorative effects, we recommend high specification primer basecoats and 2 coats of eggshell paint sanded between coats. The toughest paints seem to be from Tikkurila, Alcro and similar Scandinavian brands. Acrylic eggshells from Little Greene or acrylic latex semi-gloss from Mythic are good choices. Water-based finishes can be sealed with Tikkurila Kiva lacquer for an extra tough coat, but generally an extra coat of paint is more durable than a layer of clear varnish. Oil based eggshell from Tikkurila (Empire) Little Greene, Sandersons or Johnstones are the pick of oil paint for furniture. Mark Nash has also done a lot of research and trialling and is very proficient with spray enamels and other “non” furniture paint. And Holmans Specialist Paints can always advise on the best products for demanding residential and commercial grade furniture painting. Stumped for the right colour? Colour advisor, Emma Culshaw Bell is a good one to ask for the “perfect” colour.